JONATHAN FREEDLAND. Inspired by Trump, the world could be heading back to the 1930s. The US president tears children from parents, and in Europe his imitators dehumanise migrants. We know where such hatred leads. Despite that dispensation, I’ve tended to abide by my own version of Godwin’s law. I try to avoid Nazi comparisons, chiefly because they’re almost always wrong and because, far from dramatising whatever horror is under way, they usually serve to minimise the one that killed millions in the 1940s. And yet, there’s a cost to such self-restraint. Because if the Nazi era is placed off limits, seen as so far outside the realm of regular human experience that it might as well have happened on a distant planet – Planet Auschwitz – then we risk failure to learn its lessons. That would be to squander the essential benefit offered by study of the Third Reich: an early warning system. So yes, when Donald Trump ordered US government agents on the southern border to separate migrant children from their parents, to tear screaming toddlers from their fathers and even to pull a baby from its mother’s breast, he was not re-enacting the Holocaust. He was not ordering the eradication of an entire people or sending millions to their deaths. But there were echoes. And we must hear them. For one, there’s the elemental act of separation itself. If you interview survivors of the Holocaust, one thing you notice is that even those who’ve grown used to describing events of the most extraordinary cruelty, and who can do so without shedding a tear, often struggle when they recall the moment they were parted from a parent. Mostly now in their 80s or older, they are taken back to that moment of childhood terror, one that never leaves them. The parents ripped from those 2,300 children on the Mexican border were not led off to be murdered. But there are grounds to believe they may never again see their sons or daughters, some of whom were sent thousands of miles away. There is no system in place to reunite them. The children were not properly registered. How can a two-year-old who speaks no English explain who she is? 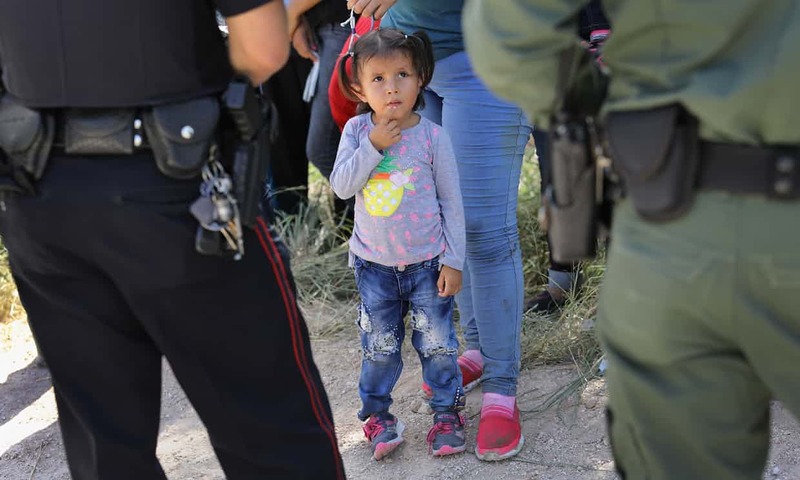 Eighty years from now, perhaps, old men and women will sob as they recall the mother taken from them by uniformed agents of the US government, never to be seen again. But the echoes don’t end there. The wire cages. The guards telling weeping children they are forbidden from hugging each other. And then this chilling detail, reported by Texas Monthly. It turns out that US border guards don’t always tell parents they’re taking their children away. “Instead, the officers say, ‘I’m going to take your child to get bathed.’ The child goes off, and in a half-hour, 20 minutes, the parent inquires, ‘Where is my five-year-old?’ ‘Where’s my seven-year-old?’ ‘This is a long bath.’ And [the officer says], ‘You won’t be seeing your child again.’” It’s not the same as telling Jews about to die they are merely taking a shower, but in the use of deception the echo is loud. And if the mechanics of this operation strike a familiar note, so too does the rhetoric and propaganda deployed by those behind it and defending it. You don’t have to go to back to 1930s Germany to know that the first step towards catastrophe is the dehumanisation of a reviled group. It happened that way in Rwanda and the Balkans in the 1990s, and it’s happening in today’s United States. “These aren’t people, these are animals,” the US president said last month. They want “to pour into and infest our country”, he tweeted this week. “Infest” is a word reserved for rats and insects. This is the language of those seeking to choke off human sympathy, by suggesting those suffering are not even human. This article was published by The Guardian on the 23rd of June 2018. 5 Responses to JONATHAN FREEDLAND. Inspired by Trump, the world could be heading back to the 1930s. As I was becoming aware of the shutdown-of-comparison-to-fascism nature of Godwin’s Law – just in the last few years following my return from nearly two decades in Japan – I became aware with the rise of “stop-the-boats” mantras from that well-known suppository-of-wisdom chappie – and his off-side shrieking on-water-matters that we were clearly reaching the end-of-Godwin’s Law days. About four, five years before Jonathan FREEDLAND I note. But then I was a teacher of history – not a mere columnist – and a reader and thinker deeply of the issues of war and refugee – of fleeing from war, from persecution – and then of finding refuge, of being welcomed or reviled. I have thought deeply of my own family – exiled, pushed from and pulled towards – of escape, of invitation – living alongside and teaching with and teaching of those here from all the possibilities. When a former PM – himself an immigrant here – can be as bloody-mindedly racist as Tony slogan-man Abbott then it is time to call him out for his fascist rhetoric and actions – hence my earlier rejection of Godwin’s Law! 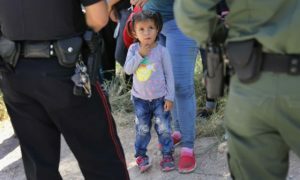 Read Fintan O’Toole – the Irish Times – Tuesday June 26 – on the headlong rush towards Fascism – the inhumanity towards asylum-seekers – those of difference – the “them” to the “us” – across the norther hemisphere. Though he doesn’t mention Australia – enough of us know the downward spiral led from the days of John children-overboard Howard and Tony stop-the-boats Abbott and their followers, successors – down to the Trembler PM and ex-Bjelke era cop Peter Dutton to understand that the ugliness unleashed again in this world has been led by our own traitors to humanity. It has also been a continuing theme in Australia when it comes to asylum seekers. Is this the same Madeleine Albright who said that the death of 500,000 Iraqi children was worth it?